Up to 75 cans/minute, fully automated depalletizing, and quality control above industry standards. Don’t want to purchase printed cans? Have a seasonal or one-off release? We offer in-line labeling so you have the flexibility to do it all. Is space an issue? We understand the value of production space. Which is why we offer affordable warehousing for dry goods with a service agreement. Don’t want to foot the bill for the minimum order from packaging manufacturers? Let us help! We provide ends, case trays, paktech carriers, we have it all! Supply your own or purchase from us, you choose. First time canning? Need help navigating the intricacies of packaging? Have a special project in mind? 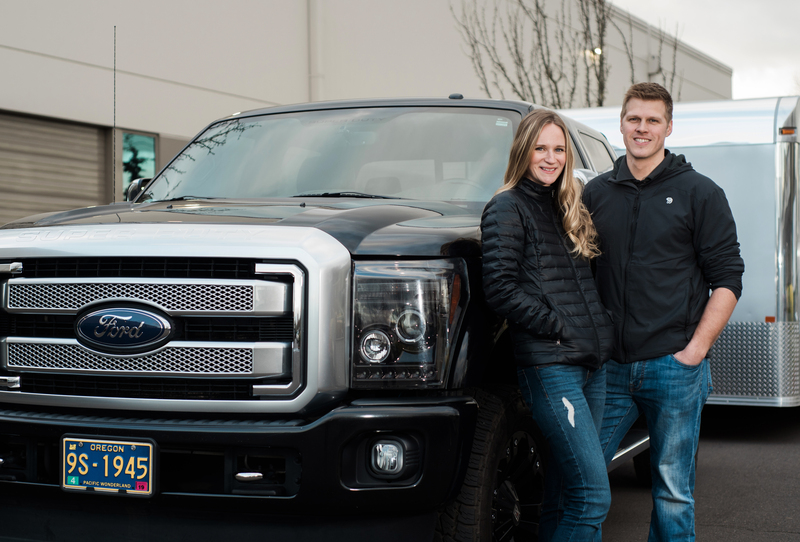 We can help you from start to finish. Interested in hearing more about what we can do? Alpha BC-70 high speed canning line. 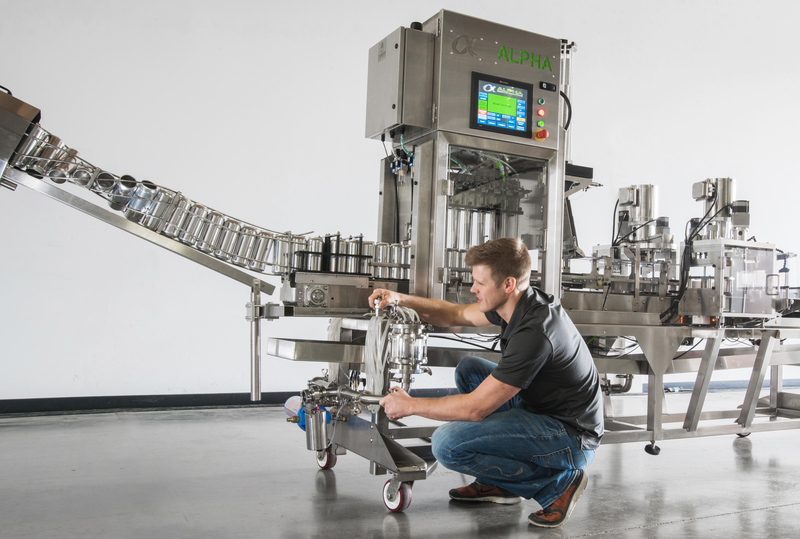 The Alpha BC-70 represents the newest and most innovative of linear canning technology on the market today. The implementation of dual lane filling for decreased travel time between the fill spouts and end application produces ultra low dissolved oxygen pickup, while micro load cells weigh every filled can as it gets seamed to ensure proper fill levels. 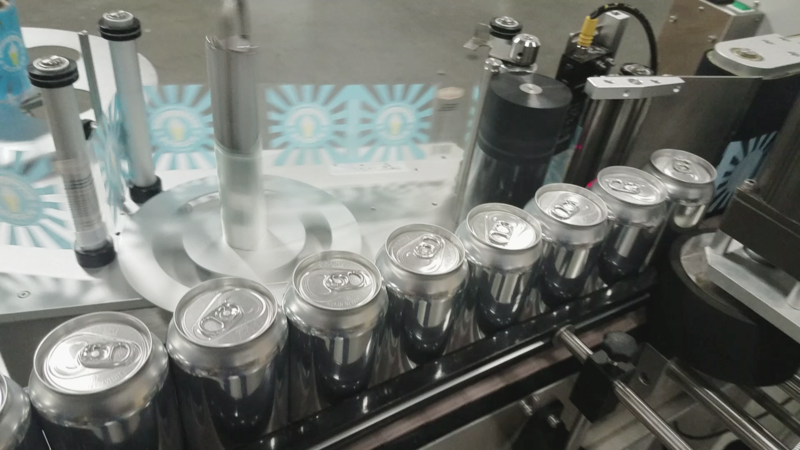 Automatic reject stations pull aside any suspect cans for visual inspection so you can rest assured that every can off the end of the line is shelf ready and of the highest quality standards. With production rates up to 75 cans per minute, this little speedster packs a punch for both large lots or small. Ska Fab out of Durango Colorado has been in the canning game for a long time now, and it shows. Their depalletizers are built like a tank and don’t miss a beat during short or long production runs. That’s why they were the logical choice for our pre-fill automation. 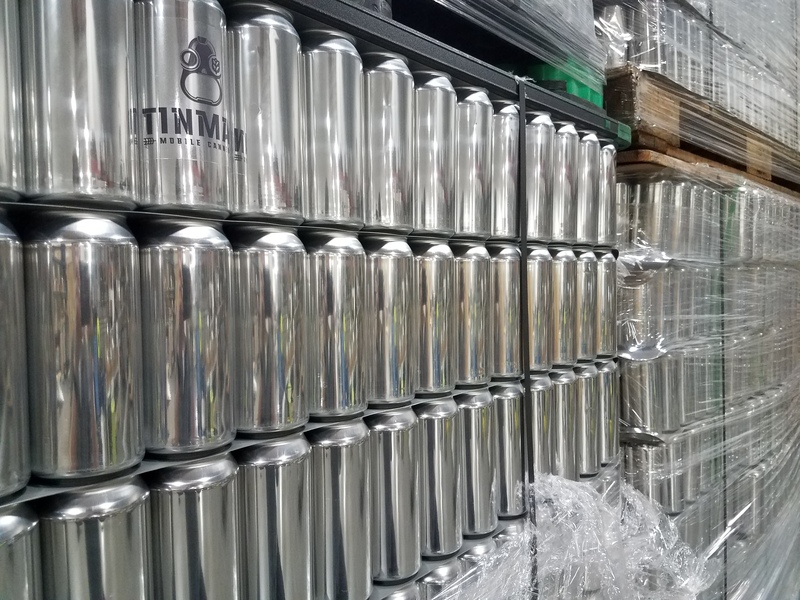 Fully automated depalletizing and slip sheet removal decreases labor costs and a twist rinse prior to the canning line makes sure that your cans are clean and ready for product before they enter the line. We’re convinced that our canning equipment and quality control standards are the best around, but don’t take our word for it! Every canning comes with a full host of QC testing and end of day reports beyond industry standards. Oxygen testing, CMC Kuhnke digital seam inspections, luminometer swab testing for sanitization, and in-line can weighing for proper fill levels makes sure nothing is left to chance. We care about the product we process as much as you do and have taken every step possible to protect what you have so carefully crafted.